Rebecca Folsom’s music is about liberation. Her songs crack open hearts, inspire wonder and leave listeners with a deeper perspective. Rebecca’s world-class voice traverses a newer-four-octave range. The Daily Camera calls it “sultry” and KUNC radio describes is as “knock-you-to-your-knees.” She leads audiences on a multifaceted journey from lilting tenderness to unbridled, Joplinesque release. 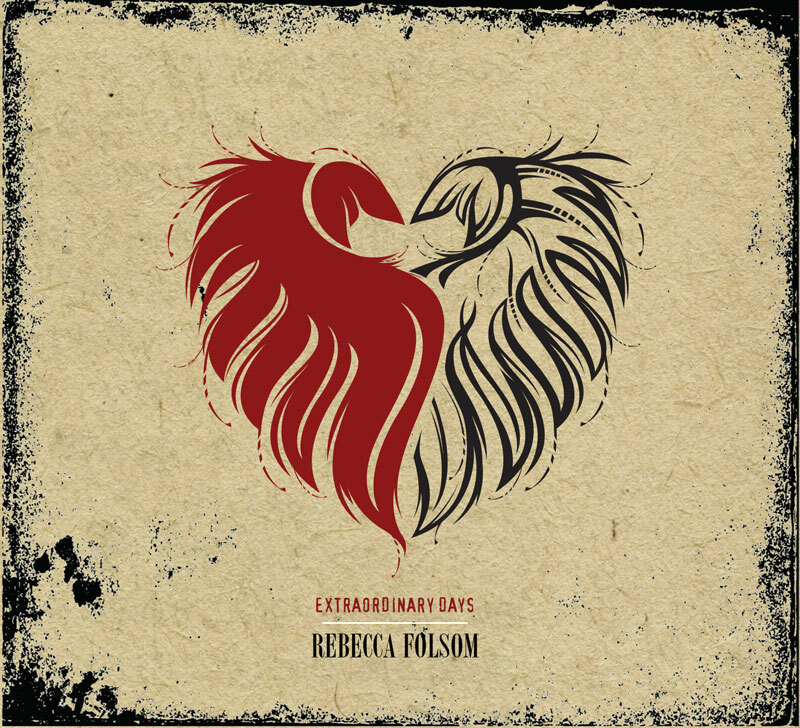 Rebecca’s newest CD, “Extraordinary Days,” is a delightfully positive ensemble of songs. As Rebecca’s songwriting paints a picture of shadow and light, she digs down to gather her stories, alchemizes them, and offers a transcending, toe-tapping vision of hope. “Extraordinary Days” takes listeners from the more traditional sonic landscapes of tracks #3 Better Times, #4 Colorado, and #5 Rain, to the more contemporary Roots/Americana tracks of #1 New Day, #6 Love As Is, and #8 Crying Out Loud. A stellar lineup of musicians joins Rebecca, including the band that has had her back for more than 15 years. Granny nominee Sally Barris and Mark Oblinger lend their voices, and Nick Forster’s and Tim O’Brien’s multiple instrumentals shine through. Rebecca’s song “Girls Like Us” charted at number 4 on the national Folk/DJ chart. She has performed on BBC radio and television in Northern Ireland, Nashville’s Bluebird, Opryland, and Tin Pan South Stages, New York’s Bitterend, and Falcon Ridge Music Festival, Kerrville Folk Festival, Rocky Mountain Folks Festival, and Red Rocks Amphitheater. She was voted Best Folk Artist by KUNC radio. Her song “Across The Sky” was voted Best Folk Song by Just Plain Folks. “Extraordinary Days” is her 11th CD. Rebecca is a true renaissance woman. Beyond her successful career as a recording artist and national touring musician, she is a published poet and an oil painter with a Bachelor of Fine Arts degree. She is also a teacher who, for 20 years, has helped others regain authentic expression through her Art of Vocal Freedom workshops. Hailing from Boulder, Colorado, Rebecca mixes the unique spark of the Wild West with the spiritual Zen of her upbringing. “Extraordinary Days” blends these two qualities; it is at once an anthem and a poem for the awakened heart. Sorrow, happiness and impermanence-the listener experiences it all on this refreshingly optimistic soundscape.